Calgary Locksmith | SMC Locksmith Ltd. Anybody that’s ever found themselves locked out of their home or car will know just how stressful and harrowing a lockout can be. Similarly, anybody who has ever been burglarized or had their locks forced will know how scary that is. While there’s no way to completely eradicate stress and fear, knowing where to find a good, honest locksmith can at least keep these emotions down to a minimum. SMC Locksmith Ltd. offers a professional, dependable and affordable locksmith service – available throughout Calgary and the surrounding area – that’s designed to provide you with high quality locksmithing as well as peace of mind. Our locksmiths are able to tackle any lock & key conundrum, from lock and key replacement to lockouts and security system installation. Whatever the size of the task, we’re ready to lend a hand. Need a locksmith fast? SMC Locksmith Ltd. provides a 24/7 locksmith service throughout the region. With a fast arrival on most call-outs, we’re the ideal choice for customers that find themselves locked out. Need a new key or help repairing a lock? Our Calgary locksmith services include residential locksmith solutions. From key cutting and lock replacement to security check-ups and alarm installation, we can ensure your home is safe and sound. Need a locksmith at work? Our locksmith services extend beyond the home. We’re also able to provide high quality locksmith solutions for businesses across the Calgary region. Whether you manage an office, run a hotel or are in charge of any other type of commercial property, we’re here to assist. Need help getting into your car? We provide experienced auto locksmith services suited to a wide range of vehicles. From trunk opening to transponder key reprogramming, we can help you get back on the road, wherever you are in Calgary. SMC Locksmith Ltd. has built up a reputation as one of Calgary’s most dependable locksmiths. It’s a reputation we’re proud to defend. 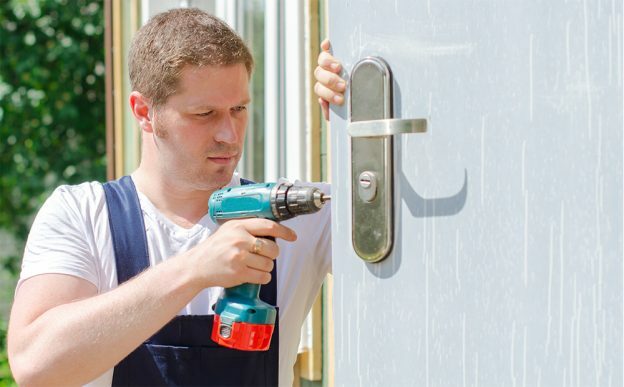 Hire our locksmiths and you’ll be treated to a first class service each and every time. We respond to all queries and always attend call-outs. You don’t have to worry about waiting hours for our locksmiths to arrive. You’ll also find that we keep our prices competitively low and, perhaps more importantly, free of hidden charges. With fast response times, around the clock coverage and customer satisfaction guaranteed, make SMC Locksmith Ltd. your first choice locksmith. © 2019 All Rights reserved to SMC Locksmith Ltd.